Forms for Employment. Get peace Of mind for your workplace. As job skills and salaries rise and as employees are allowed access to sensitive and confidential business information, written employment contracts are often prudent business practice. From hiring an employee or independent contractor to subcontracting work on a job, written documents which outline the party’s responsibilities and duties are important for keeping an employment situation on an even keel and avoid problems. Service agreements for all types of job-related employment (such as bookkeeping, child care and contracting services). Employment related forms in Spanish including employment agreements, offer of employment letters, termination for cause letters and more. Non-Solicitation Agreement Agreement prohibiting Employee from soliciting an employer's customers. Employee Absence Report Form Employee Absence Report Form will ensure that your employees absences are well-documented. This simple to use form can easily be tailored to meet your needs. Employee Consent to Drug Test Consent to Drug Test for employees and prospective employees. Employee Performance Review Employee Performance Review Form for use in all states. Employee Request for Leave of Absence Form This Employee Request for Leave of Absence form will effectively request a leave of absence from work. This request can easily be tailored to fit your unique needs. Family and Medical Leave Forms Specifically designed to be used to comply with the Federal Family and Medical Leave Act. 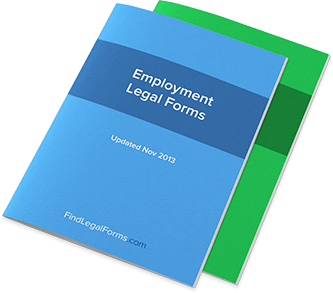 Personnel Form This Kit is specifically designed for employers, and provides a central record of the hiring, job advancement, and end of employment of any employee. Business Management Consultant Agreement Business Management Consultant Agreement between a company and a consultant who will assist with policies regarding management, organization and finances. Computer Program/Software Consultant Agreement Computer Program/Software Consultant Agreement to be used by a consultant who provides advice or guidance regarding third party software. Service Agreement (General Band) This General Band Service Agreement is designed for use in all states. This form is available for immediate download. Service Agreement (Interior Design) Agreement between a client and an interior designer. This agreement sets out the scope of the design project, fees, manner of payment and completion date. Employment Offer Letter (Carta de Oferta de Trabajo) Employment Offer Letter for use in all states. Una Carta de Oferta de Trabajo para usarla en todos los estados. Incluye documentos en inglés y español. Job Applicant Evaluation Form This Job Applicant Evaluation Form will assist in evaluating an applicant for a specific job. This form can easily be tailored to fit your company's specific needs. In tough economic times, there are countless people who run into a particular document on what seems like a daily basis: the employment application. And while applying to jobs over and over might make each application feel like the same thing, the truth is that each application needs to suit each employer on a customized, individual level. This is especially important for entrepreneurs and business owners who need to make sure that the employees they hire are the right ones. If you’re looking for work and aren’t sure that you’ve filled an employment application properly, this article should put to rest any doubts you might have. Here’s how to fill out that employment application form with confidence and total sincerity. The first thing that prospective employees need to know about employment applications is that they indeed read like contracts. This means that they carry real weight, and that means you don’t want to put any dishonesty down on paper. Not only will this make you an untrustworthy prospect in each employers’ mind, but it will take your focus away from your real-world qualifications. “But,” you might say, “what if my qualifications simply don’t cut it?” There are a number of options in this case. First, you might want to reconsider the scope of your job hunting process – you may need to develop some more experience in a particular field if you expect to land jobs there. Second, you should do some research on yourself. Dig deep to find the experience and training that you really did have so that when it comes time to fill an employment application, you don’t have to lie. After all, if an employer follows up on your background and finds out that you haven’t been honest, you can expect that all of the lies you told will add up to nothing when it comes to landing a job. You’d be amazed at how the quality of your answers are just as important as the quantity of them. If you have one previous position to put down in your experience but are capable of writing at length about your previous duties and responsibilities, you come across as more competent than someone who simply rattles off their job history as if it’s been rotely memorized. Think about it this way: while you may know that you’re a good worker, your prospective employer doesn’t know that. Showing just how carefully and seriously you take their employment application can serve as a reflection on how seriously you’ll take the position if hired. When you think about things from the employer’s point of view, you see just how important your employment application can be – remember that they’re essentially hiring people blind, without recommendations. Not only does a comprehensive employment application show how seriously you’ll take their job, but it also gives the employer a more complete view of you as a prospective employee. The better they know you, the more they can trust you with the salary you’re looking for. Making the right call when it comes to hiring a sales representative can make or break your business – especially the younger your business is. After all, sales representatives are your face to the public, your representative, your clarion call. It’s obvious why you want to make the right decision in hiring a new sales representative. If you’re in that situation, it’s no wonder you’ve come here to FindLegalForms.com looking for information on using sales representative agreements. While legal forms make sure our world keeps on spinning, your sales representative agreement forms will help ensure that your business keeps running smoothly as well. If this is a new experience for you – whether you’re a team manager or serve as the owner of a small business – then we say that it’s important you get your new hire right the first time. An ironclad sales representative agreement will help keep both you and your sales representative accountable to good business duties. If you don’t do this right the first time, you can find out just how easy it is to get burned by one of your employees. The good news about “extra effort” is that you’re already undertaking that extra effort: you’re reading this article, you’re at FindLegalForms.com, you’re being diligent. That’s a good start. Downloading some of our legal forms isn’t enough, though – you’ll want to read them over and make sure they’re in line with the policies you want to establish as a business leader. Some people believe that salesmen are a special breed. While some do their job with great accountability and responsibility, others know just how important they are to the company and start to get a little cocky. Good sales representative agreements help you to set some ground rules to avoid the latter and hire more of the former. Of course, the world isn’t so black and white. Even good salesmen, held to no account, can slip up – and “bad” salesman can be whipped into shape occasionally. That’s why it’s important to have a great sales representative agreement from the get-go: so your results will be more predictable and stable. These days, a consistent performance from the sales department can work wonders for your business. Because so many people are unsure about their financial situation, a good sales department can help a company ride out even the worst economic times. Make sure you have the paperwork to get started with building a sales team like this, and be sure to enforce these standards from the get-go. You’ll be amazed at how quickly and neatly salespeople fit in when they know they’ve committed their agreement to paper.